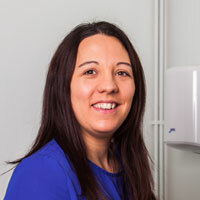 Emma started working with us in 2007 as a qualified veterinary nurse. She now works part-time completing all insurance claims for our Chester-Le-Street surgery and deals with all the queries for both surgeries. Emma has a sprocker called Sula and a Dales pony called Chance to keep her busy.